Antonio Banderas takes a vow of silence in Acts of Vengeance as he sets out on a path of revenge – with a little bit of Greek philosophy thrown in for good measure, as Marie finds out. 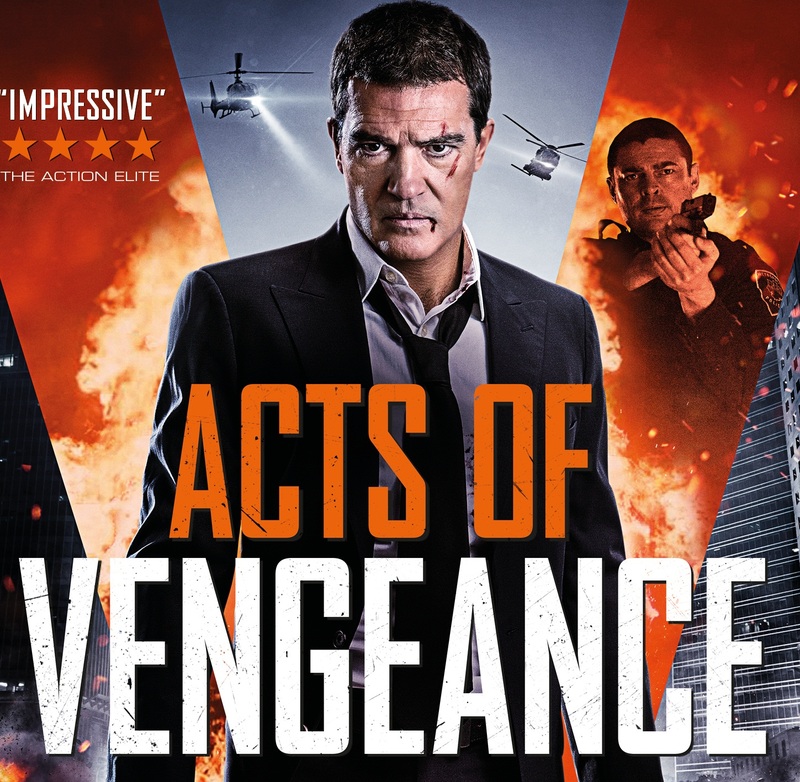 I had some idea of what to expect when sitting down to watch director Isaac Florentine’s latest action offering Acts of Vengeance. What I hadn’t anticipated was additional ruminations on Stoic philosophy from the pen of Roman Emperor Marcus Aurelius. Never let it be said that watching B-movies doesn’t bring classical culture into your life. As the film opens, Frank (Antonio Banderas) is a fast-talking defence lawyer who can manipulate words in defence of his clients. His devotion to work, however (of course), is at the expense of time spent with his family. Naturally something terrible then happens to his wife and daughter and so, wrapped in guilt, he sets out on his own to discover what happened to them when the police investigation goes cold. First, though, he obviously has to reach rock bottom by drinking far too much, getting involved in secret MMA fights, and encountering the Marcus Aurelius writings from the wrong side of a plate glass window. These musings give Frank the impetus he needs to turn his life around and before you know it, there’s the obligatory training montage followed by a vow of silence, to be broken only when he has tracked down and served revenge upon the guilty party. Karl Urban turns up as a helping hand along the way. For a guy in his late 50s, Banderas looks good in the training and fight scenes and those sequences are well choreographed, as is only to be expected form Isaac Florentine. And the tight 87 minute running time helps the plot (such as it is) move along at a good pace. However the story suffers from a few too many coincidences to be really strong, with things being just in the right place at the right time leading to some definite eye-rolling from this viewer. The entire character of Paz Vega is just an embarrassing convenience. But perhaps the thing which stands out most is the painful voice-over. Once Banderas goes silent on screen, the only way we can apparently know what he’s thinking is with an excruciating verbal exposition – and sad to say, Antonio just isn’t cut out for it. If you’re looking to be mildly entertained for an hour and a half then this will certainly fit the bill, but if you want a slick revenge story featuring a grieving husband and a dog, then I’d go full John Wick instead. Acts of Vengeance is on VOD April 23rd and Blu-Ray and DVD on May 7th!